The singer and songwriter from Australia known internationally as Paula Punch has released her latest official single, “Departure Lounge.” Like the rest of the singer’s repertoire, “Departure Lounge” has been proudly published on the Punch Park independent record label without the involvement of the corporate music industry. An alternative rock song with a devil-may-care attitude and plenty of groove, “Departure Lounge” is the latest reason for fans of singer-songwriter music to get acquainted with Sydney’s Paula Punch. Paula Punch makes music with genuine heart. Bearing themes of life, love, courage and independence, Paula Punch’s latest material has echoes of the legendary Lilith Fair performers of the late nineties. Punch, herself, has cited as main artistic influences Ed Kuepper, Joni Mitchell, the Seekers, the Band, Bob Dylan, and LP. Her own sound varies from release to release, but can be likened to Sheryl Crow, Melissa Etheridge and Sarah McLachlan. Her upcoming debut full-length album release is expected to encompass the bulk of her official releases from 2017 onward, a collezione which will anchor her in the Australian indie scene for the forseeable future. 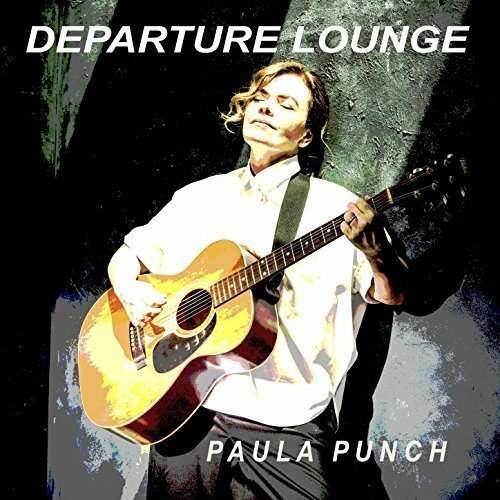 “Departure Lounge” by Paula Punch is available online worldwide from over 600 quality music stores now. Get in early, singer-songwriter fans.